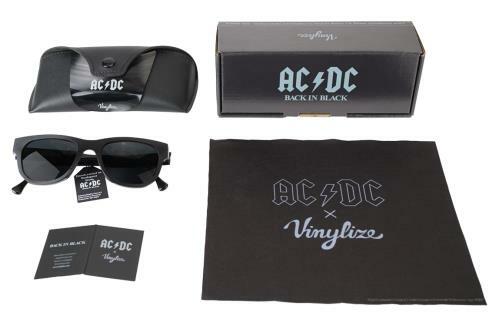 AC/DC Vinylize Back In Black Glasses - Noise (Official AC/DC limited edition eyewear collection. Classic in styling, this round frame with a flat top is hand built from an actual piece of Back In Black vinyl LP. 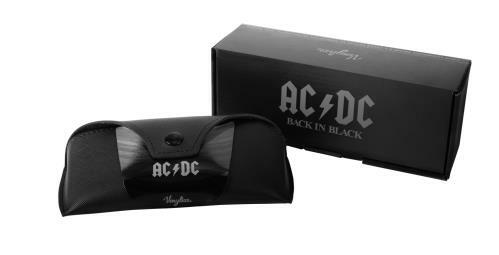 You will literally be rocking 'Rock And Roll Ain't Noise Pollution' all day long. The subdued chrome AC/DC lightning bolt is inlayed in the sculpted temple. 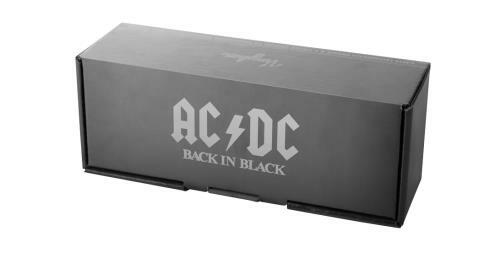 The temple inside is heat stamped with the AC/DC logo guaranteeing authenticity. This frames mirrors the design of the Back in Black album colour scheme, limited individually serial numbered. 100% European made. Ships with premium quality polarized UV400 Italian lenses with back Anti reflective coating. Case, wiping cloth, tag, guarantee card and box included. SIZE LARGE) * Glasses are sent directly from Vinylize in Europe, via FedEx. Tracking information will be provided separately *. 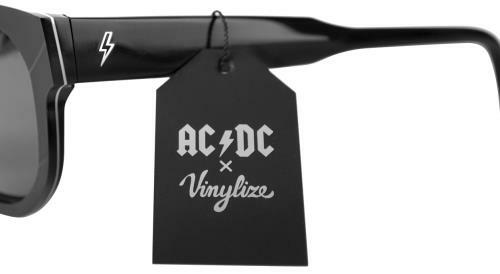 or visit our AC/DC image gallery.